Diazinon is an effective killer. 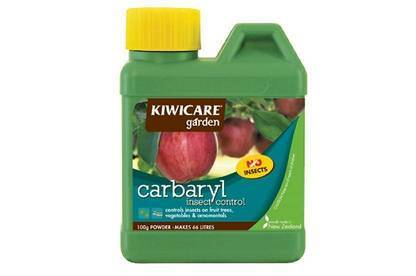 It deals a deadly blow to the carrot-rust flies and porina caterpillars that can invade suburban gardens. But it’s also toxic to people. One young child who accidentally swallowed the insecticide was admitted to hospital with acute poisoning. Diazinon belongs to a class of chemicals called organophosphates. It’s no longer approved in the EU and has been banned for residential use in the US since 2005. Restrictions on its use here were revamped last year but the chemical won’t be phased out entirely until 2028. 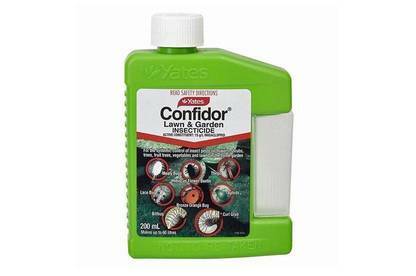 Off-the-shelf pesticides like diazinon offer a quick-fix to unwanted garden invaders. But the downside of having these products in the home is that they can contain chemicals which have serious health effects. Young children are particularly at risk from accidental exposure. Between 2006 and 2012, more than 100 children aged under five were hospitalised as a result of exposure to pesticides. Others are likely to have been treated in accident and emergency departments or by their GP but numbers aren’t recorded in official statistics. Details of the products involved aren’t always reported either. However, discharge records indicate many of the children admitted to hospital were poisoned by ingredients found in household products you can readily buy at supermarkets, hardware stores or garden centres. Some children were poisoned after swallowing insecticides left in garages or unlocked garden sheds. 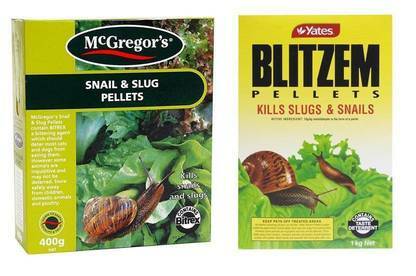 In one case, a child was admitted to hospital with nausea and vomiting after eating a slug pellet. Another child ended up in hospital after licking a cup used to mix weedkiller. Figures from ACC show 376 claims were made last year for injuries to young children as a result of exposure to toxic substances. Data on the substances isn’t collected but pesticides – as well as other common household chemicals – are likely to feature on the list of suspects. 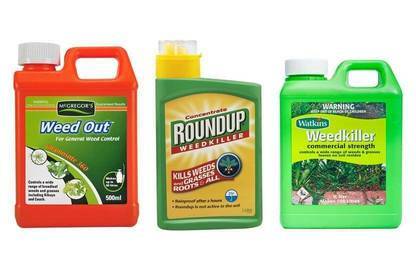 The ready availability of pesticides may create the impression these products carry minimal risk. But some products banned for residential use in other countries because of their toxicity continue to be sold here. Our laws are still catching up. A recent review of organophosphate and carbamate-based plant pesticides by the Environmental Protection Authority (EPA) will finally see restrictions on the use of these chemicals next year. Along with diazinon, the restrictions will apply to other common insecticides such as acephate, carbaryl, chlorpyrifos, maldison and pirimiphos-methyl. 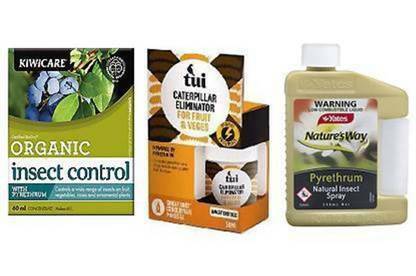 These chemicals are used in a range of products to control plant pests. 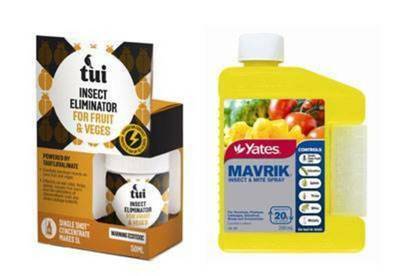 Diazinon is the active ingredient in Kiwicare Lawnguard and Yates Soil Insect Killer. 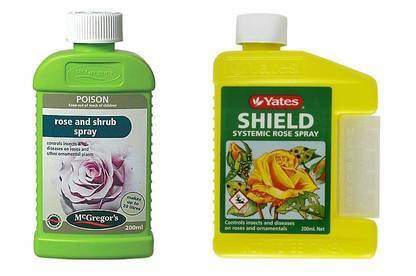 Acephate, also an organophosphate, is the active ingredient in McGregor’s Rose and Shrub Spray and Yates Shield. The EPA’s official advice is that these chemicals are toxic and should only be used if there are no safer alternatives available. From July 2015, only people certified as “approved handlers” under the Hazardous Substances and New Organisms Act will be able to apply organophosphate and carbamate pesticides in home gardens. Some manufacturers have responded to growing consumer concerns about the toxicity of pesticides by introducing products which contain naturally derived ingredients. But the word “natural” shouldn’t be mistaken for “safe”. Pyrethrins are among the ingredients used in products labelled as “natural”. 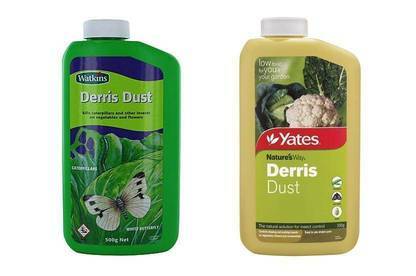 Pyrethrins are insecticides derived from the extract of chrysanthemum flowers. Pyrethroids, synthetic versions of these chemicals, are also used. While pyrethrins may be derived from a natural source, they can cause skin, eye and respiratory irritation. Some people may also become sensitised to the pesticide. Despite being “natural”, pyrethrins are classified as toxic to aquatic organisms. Most reported cases of poisoning occur in the home. 90 percent of adults aged 50 to 70 would be able to open and re-close the lid. Pesticide products are required to carry safety warnings. But these warnings aren’t always as prominent as they could be. Out of 20 products we looked at, warnings about keeping the product away from children were usually on the back of the container. Few had a prominent warning on the front. There’s also a risk products are being sold with incorrect information about their use. A recent review of health and safety legislation concluded complicated rules and weak enforcement meant products which don’t meet labelling requirements may be ending up in homes and workplaces. Changes proposed in the Health and Safety Reform Bill are intended to deal with this problem. The Bill will shift responsibility for enforcement of labelling rules from the Ministry of Business, Innovation and Employment – which the review found didn’t have the required expertise for the job – to the EPA. The ready availability of pesticides may create the impression they’re low risk. But any pesticide needs to be used with care. If you’re buying these products, make sure you check what you’re buying. Consumer protection from the hazardous substances in pesticides depends on active enforcement. Existing shortfalls need to be fixed so consumers can have confidence the law is up to date and being enforced. 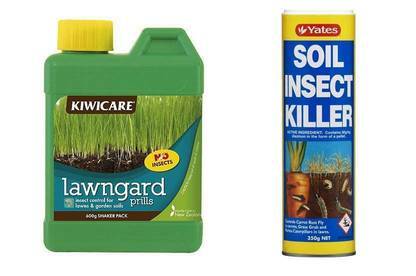 We looked at 10 pesticides and common products in which they’re found. For each pesticide we've listed the World Health Organization classification of the chemical in its pure form. For each product we've listed the classifications under the Hazardous Substances and New Organisms Act (HSNO). Restrictions: From 1 July 2015, only approved handlers will be able to apply acephate. Main HSNO classifications: 6.3A: irritating to the skin, 6.8A: known or presumed human reproductive or developmental toxicant, 6.9B: harmful to human target organs or systems, 8.3A: corrosive to ocular tissue, 9.3C: harmful to terrestrial vertebrates, 9.4C: harmful to terrestrial invertebrates. Main HSNO classifications: 6.8B: suspected human reproductive or developmental toxicant, 6.9B: harmful to human target organs or systems, 9.1C: harmful in the aquatic environment, 9.3C: harmful to terrestrial vertebrates, 9.4B: ecotoxic to terrestrial invertebrates. 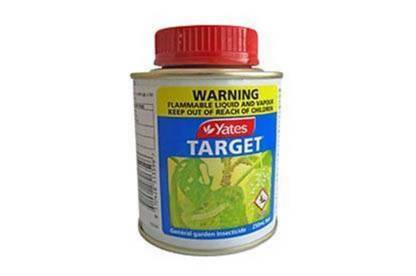 *Yates says it's stopped producing organophosphate products and expects stocks to be gone by the end of the month. Restrictions: From 1 July 2015, only approved handlers will be able to apply carbaryl. Main HSNO classifications: 6.1C: acutely toxic - toxic, 6.7B: suspected human carcinogen, 6.9B: harmful to human target organs or systems, 9.1A: very ecotoxic in the aquatic environment, 9.2B: ecotoxic in the soil environment, 9.3B: ecotoxic to terrestrial vertebrates, 9.4A: very ecotoxic to terrestrial invertebrates. Restrictions: From 1 July 2015, only approved handlers will be able to apply diazinon. Main HSNO classifications: 6.8B: suspected human reproductive or developmental toxicant, 6.9B: harmful to human target organs or systems, 9.1A: very ecotoxic in the aquatic environment, 9.2D: slightly harmful in the soil environment, 9.3A: very ecotoxic to terrestrial vertebrates, 9.4A: very ecotoxic to terrestrial invertebrates. *Yates says it's stopped producing organophosphate products and expects stocks to be gone by the end of the month. Main HSNO classifications: 6.1D: acutely toxic – harmful, 6.4A: irritating to the eye, 9.1B: ecotoxic in the aquatic environment. Main HSNO classifications: 9.1B: ecotoxic in the aquatic environment. Main HSNO classifications: 9.4C: harmful to terrestrial invertebrates. Main HSNO classifications: 6.8B: suspected human reproductive or developmental toxicant, 6.9B: harmful to human target organs or systems, 9.1D: slightly harmful to the aquatic environment or otherwise designed for biocidal action. Restrictions: From 1 July 2015, only approved handlers will be able to apply pirimiphos-methyl. Main HSNO classifications: 3.1C: flammable liquid – medium hazard, 6.1E: acutely toxic – may be harmful, aspiration hazard, 6.3B: mildly irritating to the skin, 6.4A: irritating to the eye, 6.5A: respiratory sensitiser, 6.5B: contact sensitiser, 6.8B: suspected reproductive or developmental toxicant, 6.9B: harmful to human target organs or systems, 9.1A: very ecotoxic in the aquatic environment, 9.3B: ecotoxic to terrestrial vertebrates, 9.4B: ecotoxic to terrestrial invertebrates. Main HSNO classifications: 6.5A: respiratory sensitiser, 6.5B: contact sensitiser, 6.9B: harmful to human target organs or systems, 9.1A: very ecotoxic in the aquatic environment, 9.4A: very ecotoxic to terrestrial invertebrates. Main HSNO classifications: 6.3B: mildly irritating to the skin, 6.4A: irritating to the eye, 6.5A: respiratory sensitiser, 6.5B: contact sensitiser, 9.1A: very ecotoxic in the aquatic environment, 9.4B: ecotoxic to terrestrial invertebrates. Main HSNO classifications: 3.1D: flammable liquid – low hazard, 6.3B: mildly irritating to the skin, 6.4A: irritating to the eye, 6.5A: respiratory sensitiser, 6.5B: contact sensitiser, 6.9B: harmful to human target organs or systems, 9.1A: very ecotoxic in the aquatic environment, 9.4A: very ecotoxic to terrestrial invertebrates. Main HSNO classifications: 9.1A: very ecotoxic in the aquatic environment, 9.1D (fish): slightly harmful to the aquatic environment or otherwise designed for biocidal action. Main HSNO classifications: 9.1A: very ecotoxic in the aquatic environment. Main HSNO classifications: 6.5B: contact sensitiser, 9.1A: very ecotoxic in the aquatic environment.